It is part of daily life, just like eating or drinking: going to the toilet. Looking back through the history of humanity, leaves, grass or even newspapers were used for cleaning. Nowadays, in many countries you can choose the color, softness, scent and number of layers. And yes, we are still talking about toilet paper, which is supposed to be designed to decompose in septic tanks after use. The use of toilet paper is uncontroversial in Europe and many parts of the world as a basic sanitary need. 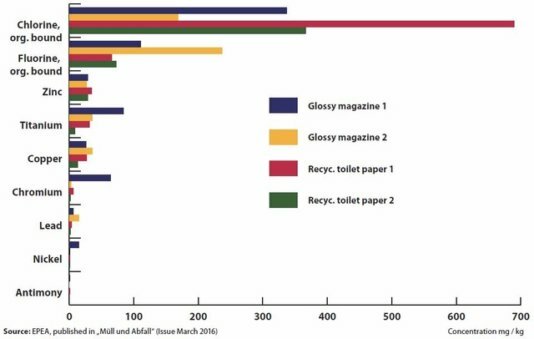 Many organizations even correlate the use of toilet paper with access to improved sanitation in developing countries. Yet, the use of toilet paper is less usual in other parts of the world, e.g. Asia and Africa, where cleansing with water is common practice. Since a systemic shift in the use of toilet paper is unlikely to occur in most western countries, it is necessary to consider the issues resulting from using toilet paper, particularly from an environmental perspective. Despite emerging alternatives made of renewable resources like bamboo or grass, by far the most widely used raw material for toilet paper is wood. Paper production is one of the largest resource consumers in the world. One ton of pulp requires five tons of wood and 50-300 tons of process water. The world per-capita consumption of toilet paper is around 4 kilogram per year, ranging from 23 kilograms in North America to 0.4 kilograms in African countries. The market growth rates are around 2%, especially in emerging countries like China and Brazil. Worldwide, the equivalent of almost 27,000 trees is either flushed down the toilet (as sewage sludge is only partly used as fertilizer on fields) or dumped in landfills every day. The expanding global demand for toilet paper and the accompanying environmental effects of raw material sourcing and manufacturing are intensifying the focus on the sourcing and production of toilet tissue. From an environmental perspective, considering resource use, energy consumption, water demand, and the quality of wastewater, it’s an easy decision to choose recycled paper. But controversially, the production share of recycled toilet paper is declining; in Germany, for instance, it has dropped from over 70% to nearly 50% in Germany in the past 10 years. Recycled toilet paper has acquired a bad reputation, while toilet paper produced from virgin material is associated with better cleaning and comfort. Marketing departments are largely responsible for fostering this stigma, yet reports of contaminated recycled toilet paper are also unsettling consumers. And, unfortunately, their concerns are not unjustified. In order to use waste paper in new paper, various cleaning steps and processes are necessary, in which fibers can lose quality. 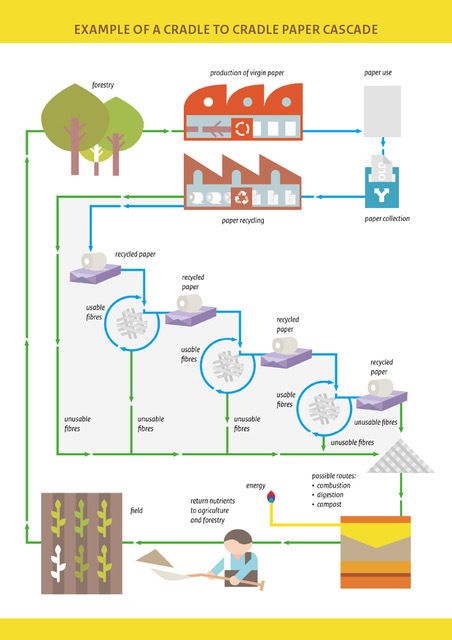 The aim is to establish a ‘paper cascade’, which is based on repeated uses of paper fibers right up to their final use as soil components to grow new biomass to produce paper. But the ‘cascade’ use of materials and the high variety of recycled materials can have negative effects, such as increased content of unwanted substances in wastepaper cycles. This is how recycled toilet paper comes to be on the market containing organohalogen compounds and heavy metals. The cause of this are chemicals such as organohalogen compounds and heavy metals and mineral oils that can be toxic to human and environmental health. They adhere to paper fibers and contaminate recycled paper, or are water-soluble and contaminate water. So far, the quality of inks and printing processes has been determined mostly by economic and visual parameters as well as compliance with rather tolerant legal guidelines. Furthermore, some organohalogen compounds may be deliberately added at the recycling stage, such as wet-strength agents and biocides. One kilogram of problematic toilet paper can contaminate five million liters of water, because traditional print products have not been made to be recycled as toilet paper. An important way to save resources and extend the use of wood components is a healthy re-use of paper fibers and products in a cascade. But an optimized cascade use of paper (see figure below) is only possible if suitable printed products are developed and used. These products could be used for safe toilet paper, which can be safely returned to the biosphere via the water cycle. The Dutch company WEPA, which developed the first toilet paper that is Cradle to Cradle Certified™, is on its way to achieve this. In principle, waste office paper is preferred as the raw material for these paper products. Further additives in the paper also have to be completely recyclable, fermentable or compostable. The Healthy Printing Initiative, launched with the support of the DOEN Foundation, aims to promote the use of healthy inks and printing chemicals, so that safer and more economical paper recycling systems can be realized. As a voluntary initiative, it tries to persuade companies to be part of the positive change and to create paper products, including toilet paper, that are environmentally friendly and optimized for recycling. Only then could one unhesitatingly recommend: choose the recycled paper! Although the use of toilet paper seems indispensable in Western countries, it is necessary to further enhance existing systems and look out for alternative and less water-intensive solutions that can also work in countries without a high level of sanitary infrastructure. Many innovative approaches focus on the reuse of nutrients, e.g. the waterless Nano Membrane Toilet or a toilet made of mushrooms , so that when the toilet is full, it can be planted in the ground where it becomes fertilizer. In the long term, effective and healthy recycling systems, as well as regionally adapted solutions that consider infrastructure and water availability, will form the basis for making our “daily business” at the toilet as environmentally friendly and beneficial as possible. To learn more about Cradle to Cradle’s work, and about the science behind their operations, check out the video below. Families from across Europe and the world unite in a legal fight calling on the EU to boost its commitment to reduce GHG emissions. Formerly imprisoned human rights activist Said Yousif Almuhafdha calls on Germany to build its foreign policy on the respect of human rights.